The program in Pastoral Ministry is designed to prepare the student for pastoral ministry with foundational knowledge in Bible, church leadership, theology, evangelism, and discipleship. The student will be able to perform pastoral responsibilities in the development and administration of the local church. The life and ministry of Jesus are taught in a linear timeline. Each story includes cultural, historical, and geographical background information. Bi133 covers the life and ministry of Jesus up until Christ's passion. The life and ministry of Jesus are taught in a linear timeline. Each story includes cultural, historical, and geographical background information. Bi 123 covers the passion, crucifixion, and resurrection of Christ. Acts is an examination of the early growth of the church, with special emphasis on the work of the Holy Spirit through the early believers. The patterns of persecution, church leadership, and the supernatural will be emphasized. This course explores communication methodologies designed to enable the student to effectively communicate within an oral society. Jesus commanded the church to make disciples. This course explores aspects of discipleship that are essential for every believer including memorizing God's Word, prayer, witnessing, and fasting. The stories of the Old Testament are taught in chronological sequence to emphasize theological concepts and historical personalities. Cultural, historical, and geographical information is woven through the lessons. Students are taught various methods of evangelism within the community and reliance on prayer andthe Holy Spirit as Pentecostal believers. Personal evangelism as well as outreach ministries are explored. The nature of sin and mankind’s inability to be reconciled to God through works is explained by prophetic promise of atonement through Jesus' life and death. Students will examine the biblical foundation, historical background, and current strategies of church planting. In this course local methodologies are included for each culture. God's government of church leadership and spiritual authority are taught. Leadership principles including a servant leader model, ethics, and basic financial principles are included in this course of study. This course introduces students to the belief systems of the major religions of the world. Each student will learn the basics of apologetics and evangelism. This course will teach the basic principles of biblical counseling using stories from scripture to illustrate practical guidelines and ethics. An overview of the 16 Fundamental Truths of the Assemblies of God is taught in this course, using relevant scriptures, with each truth tied to a Bible story. 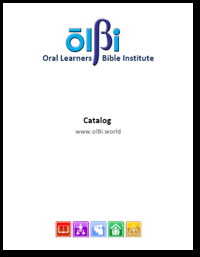 A study of selected letters of the New Testament, including some from pastoral, prison, general and Johannine epistles, with emphasis on the occasion for writing and applications for the leaders of young churches. General principles of understanding biblical prophecy will be taught. Both the Old Testament prophecies concerning Jesus and their fulfillment in his life, as well as prophecies regarding Jesus’ second coming and events of the end times will be considered. The triune nature of God is examined, resulting in a thorough understanding of the nature and ministry of each of the three persons of the Godhead. Understanding angels, demons, and Satan will safeguard the church from heretical teaching and worship of angelic beings. This course reconciles the various passages concerning Satan and his work. This course teaches principles of ministry to Muslims, including understanding both their religion and culture, and hindrances to their acceptance of Christ. This course will cover the significant events of the last 2000 years of church history while explaining the Catholic church, the Protestant Reformation, the birth of denominations, and the Pentecostal revival. Principles of spiritual authority as they apply to church leadership and the church member are taught using stories from the Old Testament, the life of Christ, and the Book of Acts. Paul’s instructions and corrections to a fledgling congregation will be discussed to assist young pastors and workers facing challenges in their young churches. Students will learn their culture’s way of conducting the sacraments of the church including communion, dedications, water baptisms, weddings, and funerals. This course teaches principles of ministry to Hindus, including understanding both their religion and culture, and challenges to effect outreach.